Today I've got a fantastic page for you about the dark days of WWII when the Japanese posed a major threat to South Africa [Durban in particular] and the authorities belatedly realised that there wasn't a single fighter squadron to defend the east coast of South Africa. See the page Fighters Over Durban for the story of what happened next. I had hoped to get today's item done in time for Remembrance Day on 11 November but I'm afraid that day-to-day issues intervened. A reader, and I'm embarrased to say I've lost track of who, steered me to the Commonwealth War Graves Comission's very fine site. The site offers a great deal of educational material suitable for schools and, included in a section on the impact that war can have on a community, is a page on our own Glenwood High School. Twenty five ex-Glenwood pupils lost their lives during WWI and 120 during WWII. 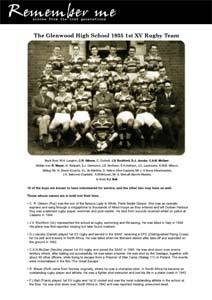 There is a very poignant picture of the school's 1st Rugby Team of 1935. At least 15 of the 18 boys (and perhaps more) volunteered** for service in WWII and six were killed. These included Roy Gibson, son of Durban's Lady in White, Perla Siedle Gibson, and Neville McGarr, who was one of the Great Escapers. Click here for The Commonwealth War Graves Commission site. Go here and click the link halfway down for the Glenwood High School page. ** South Africa had no conscription during WWII and all our servicemen and women were volunteers. HMS Dorsetshire was part of the Eastern Fleet tasked with protecting the Indian Ocean from Japanese invasion during WWII. It seems that the Japanese had every intention of providing Durban with its very own 'Pearl Harbour' experience. A fleet under the command of Vice-Admiral Nagumo, responsible for the attack on Pearl Harbour, was actually moving in this direction when the Battle of Midway took place and made the Japanese decide to concentrate on the war in the Pacific. Nagumo's fleet did attack Ceylon (now Sri Lanka) but turned back, but not, however, before sinking HMS Dorsetshire and HMS Cornwall on 5 April 1942. I spoke to Dorsetshire survivor Ray Lock the other day and he told me how the survivors of both the ships were brought to Durban. Ray had been injured in the sinking and was immediately admitted to Addington Hospital with the other wounded on their arrival in Durban on 2 May 1942 aboard the hospital ship Vita. Ray tells the story of a fellow patient who had been so shocked by the sight of his dead shipmates that he had gone blind on the spot. Later, in Addington, he hit his head on the headboard of his bed and instantly regained his sight but lost the power of speech in his excitement. Fortunately, he soon regained his speech as well. One of Ray's abiding memories of Durban at the time was of the Victoria League in Pine Street, just west [inland] from Gardiner Street. The Victoria League was staffed by volunteer ladies and servicemen could go there for a good cheap feed. He remembers that everything cost a penny so that you could have bacon, two sausages and two eggs for fivepence. South Africans and visitors to these shores were lucky because food was always plentiful during the war with the exception of bread, because wheat had to be imported and was in very short supply. 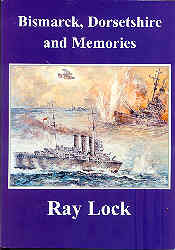 Ray Lock has written a book of memories of his time aboard HMS Dorsetshire, both in her most glorious moment, when she finished off the Bismarck, and during her sinking. The book is available from Adams in Durban and from Exclusive Books in the Gateway Shopping Centre; any other Exclusive Books in South Africa can get it for you from there. You can contact me at the addresses here if you're outside SA. 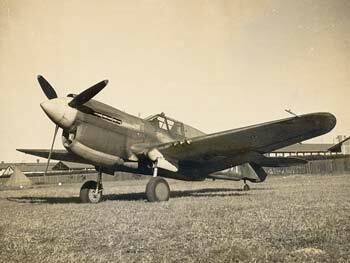 Earlier on this page I mentioned that I had put up a page on the arrival of a fighter squadron in Durban during WWII. My informant Reg Sweet also showed me a very interesting piece of aviation memorabilia which he has in his possesion. It is a metal cut-out of the Imperial Airways (later B.O.A.C.) Speedbird logo which was once the weathervane on top of the terminal building of Stamford Hill Aerodome [now the HQ of the Natal Mounted Rifles]. The weathervane must have been put up between 1932, when Imperial Airways first offered a service between the UK and South Africa, and 1937, when the airline suspended the use of land-based aircraft on the route and made the switch to flying boats. Reg told me that he had noticed the weathervane during his posting to Durban in 1942 and especially when, as duty pilot, he had to sleep on the floor of the control tower. 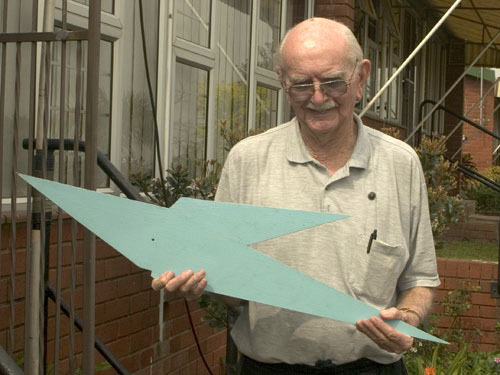 He returned to Durban in 1952 and was later given the Speedbird when he heard that it was to be taken down. Left: Reg Sweet with the metal Imperial Airways Speedbird which once served as the weathervane atop the Stamford Hill Aerodrome terminal building. This Speedbird is believed to be the last of its kind in South Africa. I've found many interesting things in my search for more Facts About Durban. 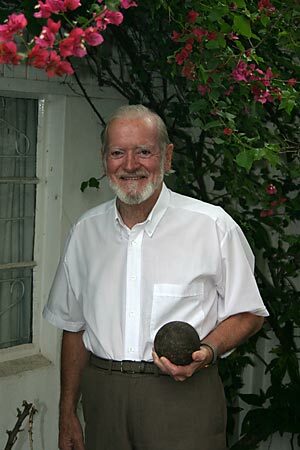 One of most recent of these is a solid iron cannonball which was shown to me by my informant Philip Warhurst. He told me that it had been dug up in the garden of his 100-year-old house in Frere Road by the previous owner. Philip was handed the cannonball when he bought the house and told that it went with the sale. The ball is 10 or 11cm in diameter and we found that it weighs 5Kg on Philip's bathroom scale. That would make it about 12lbs and I have a feeling that there were cannon which fired that weight of shot. Apart from the size and weight, however, we don't know anything about the ball. Was it fired by the Boers or British during the seige of the Old Fort in 1842, perhaps during the battle of Congella which occurred within a couple of kilometers of where it was found? Perhaps it was dropped there by a tired souvenir hunter who had found it elsewhere. Or maybe it landed up there one New Year's Eve, when celebrating sailors fired a broadside into the bush around the bay; much as they do these days, with their red distress rockets. Right: Philip stands on about the spot where the canonball was discovered. 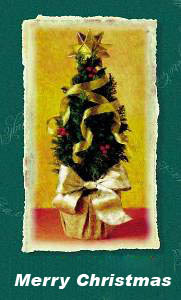 My very best wishes wishes to you and yours over the festive season and I hope you have a very prosperous new year. I don't suppose we'll ever know how many ships have come to grief in the immediate vicinity of Durban. A number of unlucky vessels have already been mentioned in these page and now, thanks to my informant Wade Kidwell, I can add the oddly-named Union Whaling Company whaler Odd to the list. The sinking of the Odd was reported in the Natal Mercury on 23 March 1949 and Wade very kindly typed typed out the article, and another which appeared the following day, and sent it to me. The Odd apparently had apparently arrived off Durban at 7:30pm, on 22 March, after a day spent hunting for whales, and had been attempting to enter the harbour when her steering gear jammed. The vessel then swung to the right and ran aground on rocks just north of the north pier breakwater. The surf was apparently pretty heavy that night and things looked bleak for the crew of the Odd. Luckily for the 14-man crew however, a Mr Wardell, of 46 Gower Street, Umbilo, had been fishing off the end of the Point and had the presence of mind to reel in his line and cast it so that it fell across the deck of the stricken vessel. The crew then tied a rope to the fishing line and Mr Wardell pulled the rope to shore where he attached it to the railway line, which runs along the pier. The crew were then able to pull themselves hand-over-hand to shore. Large waves pounded the men as they made their way to safrty but all seemed in order until a huge wave swept two crewmen away. The Odd's skipper, Captain Averson, immediately grabbed a rope and dived into the sea, managing to rescue first one and then the other. The Natal Mercury of 24 March reported that the Odd had been declared a total loss by her owners, the Union Whaling Company. The article said that the vessel was lying in about 15 feet of water about 20 yards from the breakwater and that only the funnel and mast were visible above the surface. Wade Kidwell tells me that he has dived in the area of the wreck many times and notes that the few remaining pieces will have to be removed later this year when the harbour mouth is widened. He said he hopes that the remains are relocated suitably and I can only echo those sentiments. Today I've got a major new page for you to look at. It was contributed by Guy Ellis and is an extract from his book Serve to Save - the South African Air Force at Sea. The extract deals with the exploits of 8 Motor Boat Section SAAF which was based in Durban from 1942 and tasked with rescuing pilots who had to crash land at sea. 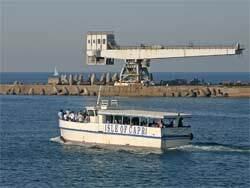 Still working as pleasure boats in Durban in 2005, the Isle of Capri III and her sisters Allen Gardiner and Sarie Marais once served with the South African Air Force. Copies of Guy's book are available from Freeworld Publications who can be contacted in South Africa on 013 750-1316 or at afmil@global.co.za.